Antidepressant medications work by helping to rebalance the natural chemicals, called neurotransmitters, in the brain. In addition to helping with mood, antidepressants can also help with other symptoms of depression, such as low energy, poor concentration, difficulty with sleep and poor appetite. Some antidepressants can also help with anxiety and pain symptoms. 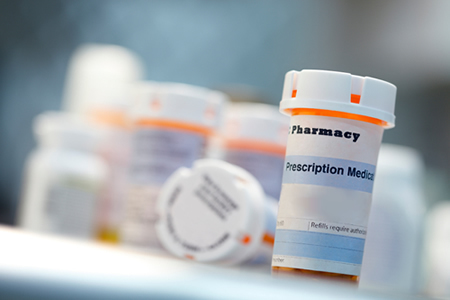 There are many different types or “classes” of antidepressant medications. Studies of depression in TBI have found that some classes may work better than others. Selective serotonin reuptake inhibitors, commonly called SSRIs, have been found to be the most effective antidepressants for people with traumatic brain injury. Sertraline (Zoloft®) and citalopram (Celexa®) may have the fewest side effects and may even improve anxiety and cognition (thinking ability). Serotonin-norepinephrine reuptake inhibitors, or SNRIs, such as venlafaxine (Effexor®) and duloxetine (Cymbalta®), can provide benefits for pain and anxiety, as well as depression, and may be a good option for people with traumatic brain injury. Some types of antidepressants should be avoided in most cases because they have side effects that can cause problems in people with traumatic brain injury. These include monoamine oxidase inhibitors (MAOIs). Tricyclic antidepressants (TCAs) are often used safely at low doses for sleep or pain, but may cause side effects at higher doses. After starting an antidepressant, it can take a few weeks to feel better. Antidepressants should not be stopped abruptly. A healthcare provider should be consulted before making any changes. Sometimes a provider will need to change the dose over time or switch to a different medication if one doesn’t work well enough. In some cases, two different antidepressants can be used together if a single medication is not effective. Antidepressant medication should be taken every day, even when symptoms improve. It is important to remember that antidepressants are not “addictive.” It is also important to know that even if antidepressants help with depression, they usually do not have to be taken forever. Sometimes a medication can help rebalance the brain’s chemistry and can eventually be discontinued (for example, after 6-12 months). However, each person’s situation is unique, and initiating, taking, and discontinuing antidepressants should always be done under a healthcare provider’s supervision.